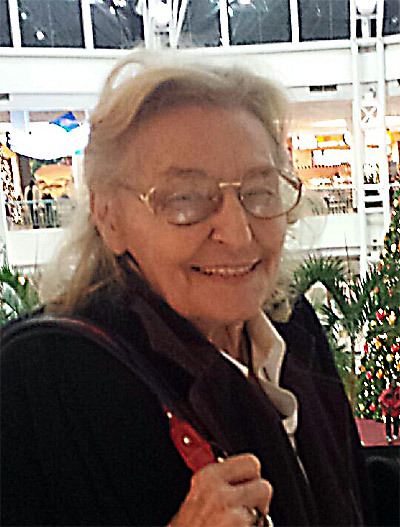 Mary A. Bailey, 84, of Sun City Center, Fla. passed away February 3, 2015. Originally from upstate New York, Mary was a retired dietitian and was an active member of the Sun City Center Community. She was a member of Prince of Peace Catholic Church, where she was Recording Secretary of the Women’s Guild. She was a volunteer for the Sun City Center Emergency Squad, the Sun City Center Security Patrol, and a member of the Sun City Center Lawn Bowling Club and of the Ladies Ancient Order of Hibernians. She was preceded in death by husband Robert C. Bailey, brothers Francis R. and Joseph J. Mullally, and sister Joan A. Mullally. Survivors include her son and daughter-in-law, Robert E. and Janice Bailey; grandchildren Ian and Olivia Bailey; and sister Joyce A. Shepherd. A Funeral Mass will be at 11 a.m. Friday, Feb. 20, at Prince of Peace Catholic Church, 702 Valley Forge Blvd., Sun City Center. In lieu of flowers, please make donations to the Sun City Center Emergency Squad, 720 Ray Watson Drive, Sun City Center, FL 33573. Arrangements by Sun City Center Funeral Home. John D. Fletcher, 84, of Ruskin, Fla., passed away February 11, 2015. After serving in the U.S. Air Force, he started as a lineman and retired as a Senior Foreman for the Line Department for TECO. 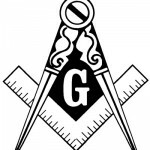 He was a 50-year member and Past Master of DeSoto Masonic Lodge, Riverview, Fla., Past Worthy Patron of the DeSoto Chapter Order of Eastern Star. 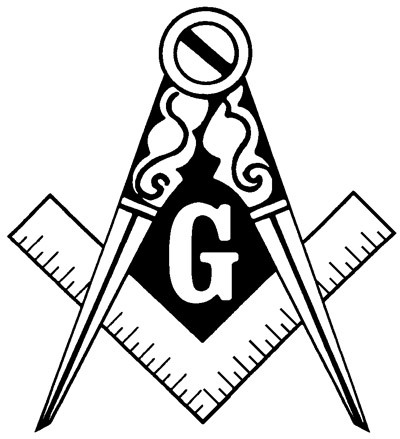 He served as an advisor for DeMolay International, where he was affectionately known as “Dad” Fletcher. He was a member of the Lions Club and life member of Ruskin United Methodist Church. He enjoyed bass fishing, but his greatest joy was watching all of grandsons Nicholas and Drew’s baseball games, wrestling matches and performances. He was especially proud of the young men they have become. He was preceded in death by wife Margie L. Fletcher; son Marcus W. Fletcher; parents Marcus and Drue Fletcher; brother Bruce Fletcher; and sister Marion Fletcher Blair. Survivors include daughter Carolyn (Jerry) Gill; grandsons Nicholas and Drew Gill; brother Dan (Becky) Fletcher; and many nieces and nephews. The family planned to receive friends from 1 to 2 p.m. Wednesday, Feb. 18, 2015, with funeral service to follow at 2 p.m. at Ruskin United Methodist Church, 105 4th Ave. NW, Ruskin. Burial at Ruskin Memorial Park. In lieu of flowers, memorials may be made to the American Cancer Society, 1462 Oakfield Drive, Brandon, FL 33511; the Shriners Hospital for Children, 12502 USF Pine Drive, Tampa, FL 33612-9411; or Ruskin United Methodist Church Building Fund, 105 4th Ave. NW, Ruskin, FL 33570. Blanche Inez Handy Jensen transitioned peacefully to heaven on February 10, 2015, where she joins her parents, Helen Virginia and Roy Handy, and her brother, Stephen. Born July 19, 1924, in New Jersey, she married Gerald (Jerry) in 1952 and lived in New York. She moved with Jerry and their five children to Sarasota, Fla. in 1963. 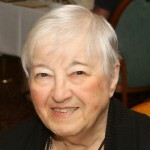 Blanche had a wonderful, full life with her teaching career and her family. She taught for many years in the Sarasota County school system, retiring in the late 1980s. She and Jerry moved to Sun City Center, where she enjoyed an active life assisting at the local hospital and library. She loved reading and traveling the world. Blanche is survived by her husband of 62 years, Gerald; children Nancy Coogle (Jody), Donald (Heidi), Robert (Maureen), Susan Gibson (Dennis) and Gail Gannon (Sean); 12 grandchildren; and 10 great-grandchildren. We celebrate her life and she will be missed dearly by all who knew her. In lieu of flowers, donations may be made to St. Jude Children’s Research Hospital. Barbara Martin passed away February 13, 2015. Barbara became a nurse at the age of 47, proud to be a nurse serving Dr Gaspar Salvador’s general practice for seven years at SunHill Medical Group. 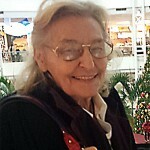 Then Barbara served the Sun City Center and Greater Bay area Lifepath Hospice into her 70s. Barbara is survived by children Sondra Krueger, Christina Lawson, Marcus Martin, Kylun Martin, Trophy Martin and Melody Martin. She was predeceased by husband Monte Martin in 1998 after 52 years of marriage, and by son Monte Martin in 1983, when he was 30. Dr Gaspar Salvador, Sunhill Medical staff and Moffitt Cancer Center in Tampa played a significant role in the treatment of Barbara in her later years, extending life through cancer treatments and the comfort of palliative care. Larry “Papper” Ream, 78, was called to heaven early Tuesday morning, February 10, 2015, at South Bay Hospital in Sun City Center, Fla.
Larry was born to the late Cloyd and Pearl (Walker) Ream, March 13, 1936, in Somerset, Pa. He graduated from Somerset Joint High School in 1954 and received a BS in chemical engineering from the University of Pittsburgh in 1958. Larry began his career at Wheeling-Pittsburgh Steel, Yorkville, Ohio plant, and retired from ARMCO in Dover, Ohio. Papper was an avid deer hunter and golfer. He is survived by his wife of 56 years, Connie (Sipe); son Kevin (Barb) Ream and their son Tyler; son Dr. Tom (Carolyn) Ream and their children Correy, Branden and Audra; and daughter Ann Ream. He is also survived by sister Virginia (Ray) Pawloski; brother Cloyd (Marie) Ream; and eight nieces and nephews. Memorial services will be held at Elm Grove United Methodist Church in Wheeling, W.Va., at 11 a.m. on Saturday, Feb. 28, and at Sun City Center United Methodist Church, Sun City Center, Fla., at 11 a.m. on Saturday, March 21. In lieu of flowers, memorial contributions may be made to Shriners Hospitals for Children, Office of Development, 2900 Rocky Point Drive, Tampa, FL 33607. 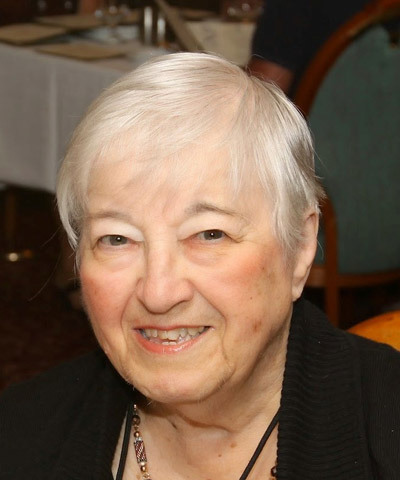 Helena Smith, 91, formerly of Sun City Center, passed away January 4, 2015, in Dublin, Ohio. For many years, Helena volunteered at a local hospital as a “pink lady.” In Sun City Center, her home for 29 years, she participated in local community activities and enjoyed her golden years with her husband and many very dear friends. She is preceded in death by her loving husband of 66 years, Walter, who always introduced her as his beautiful bride. She is survived by son Richard W. Smith (Carol); daughter Kathleen H. McDaniel (Jon); sister-in-law Janet Nied; grandsons Andrew R. McDaniel (Alexis) and Joseph W. McDaniel (Anne); and nieces and nephews. A memorial mass will be held at 11 a.m. on Saturday, Feb. 28, 2015, at Prince of Peace Catholic Church in Sun City Center. Gordon J. Whitworth, 50, of Ruskin, Fla., passed Saturday, February 7, 2015. He is survived by mom Joyce Whitworth of Ruskin; loving partner Melody Farris; daughter Leslie Whitworth of Ocala, Fla.; sisters Diedre Wells of Brandon, Fla. and Alena Whitworth of Louisville, Ky.; and brother Jimmy Wells of Valrico, Fla.
A Celebration of Life will be held at Ruskin Moose Lodge at 1 p.m. on Saturday, Feb. 21.